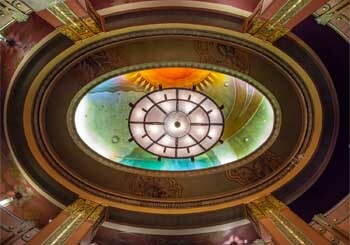 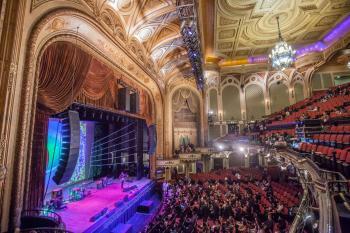 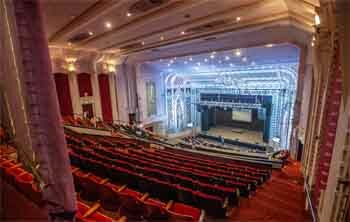 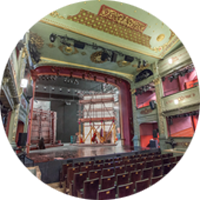 This website celebrates and promotes historic and culturally significant theatres from across the world. 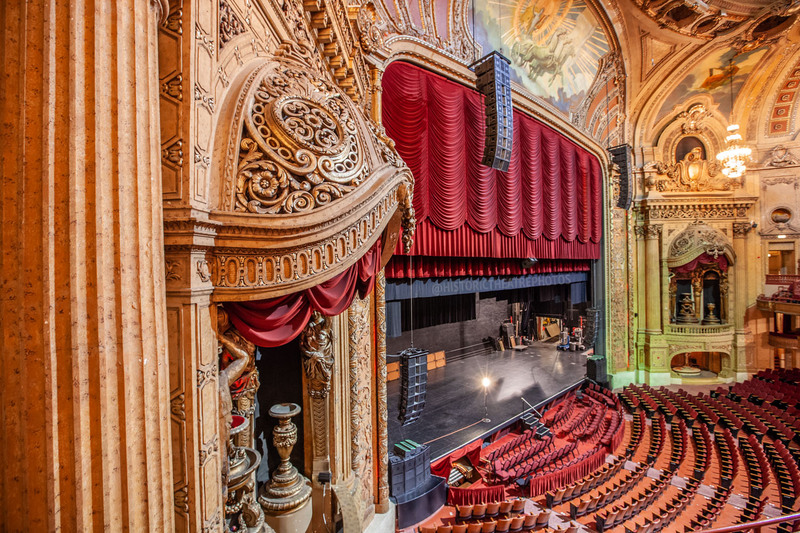 Our intent is to document these buildings of public storytelling through photography, capturing significant details from both sides of the curtain. 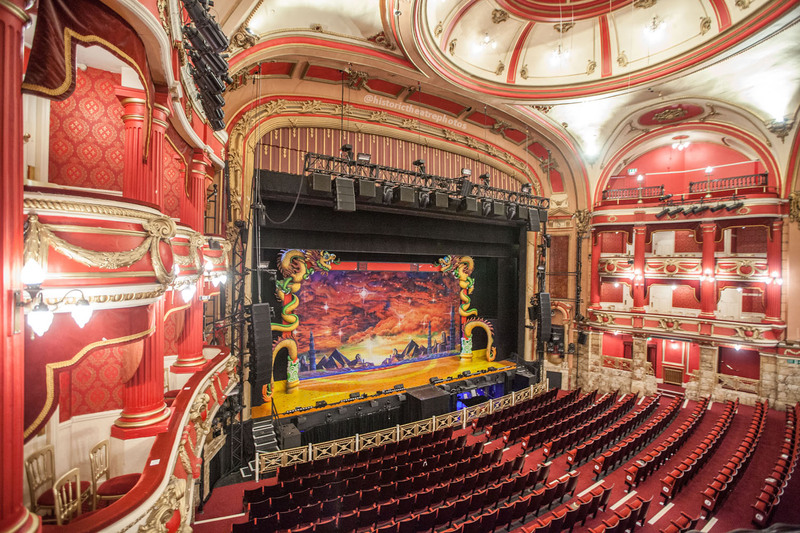 Our aim is to educate and engage current and future generations on the importance of theatre and the arts, and that of preserving the significant buildings our society has already created for the purpose of public storytelling. 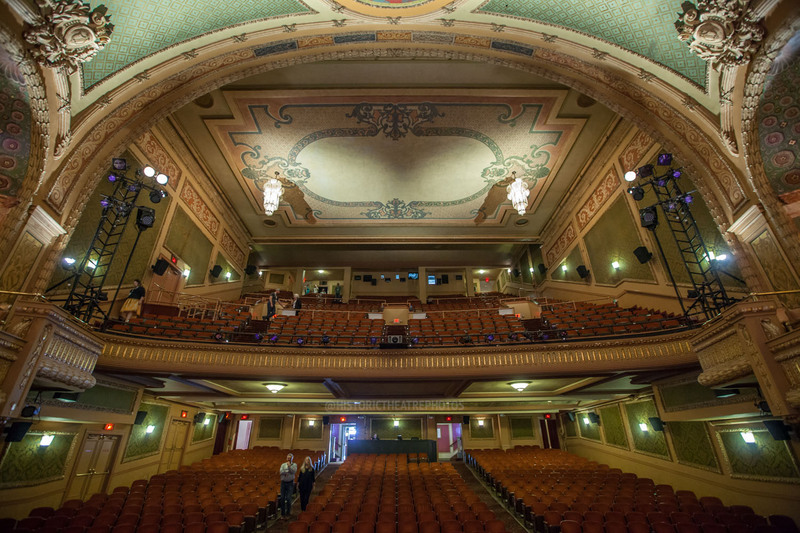 We are always on the lookout for additional historic or culturally significant theatres to feature on our website and social media channels. 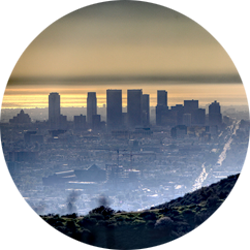 Please get in touch for collaborations or photoshoots. 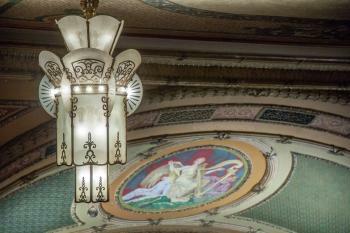 You can also check out more about the story behind Historic Theatre Photos, and its author Mike Hume. 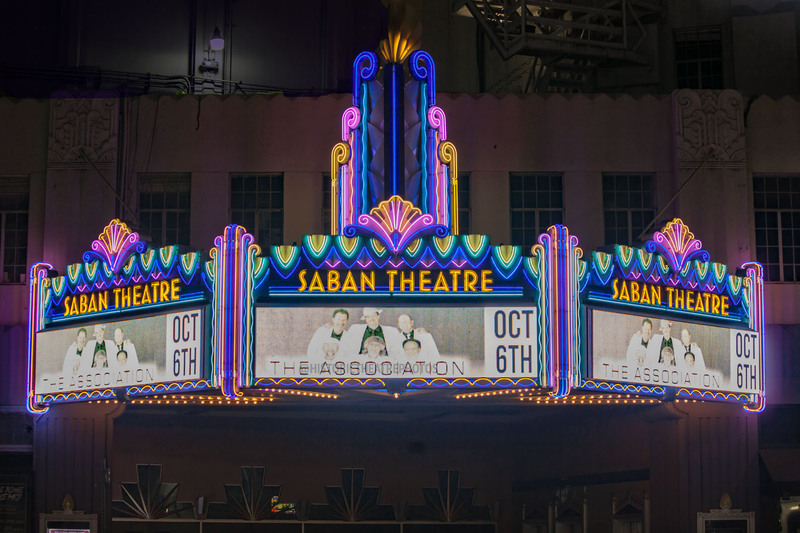 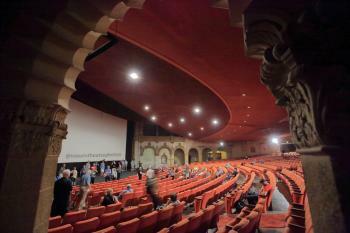 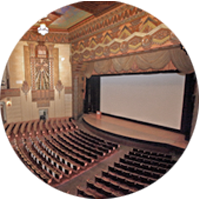 Click here to check out our new page covering special events at our featured theatres! 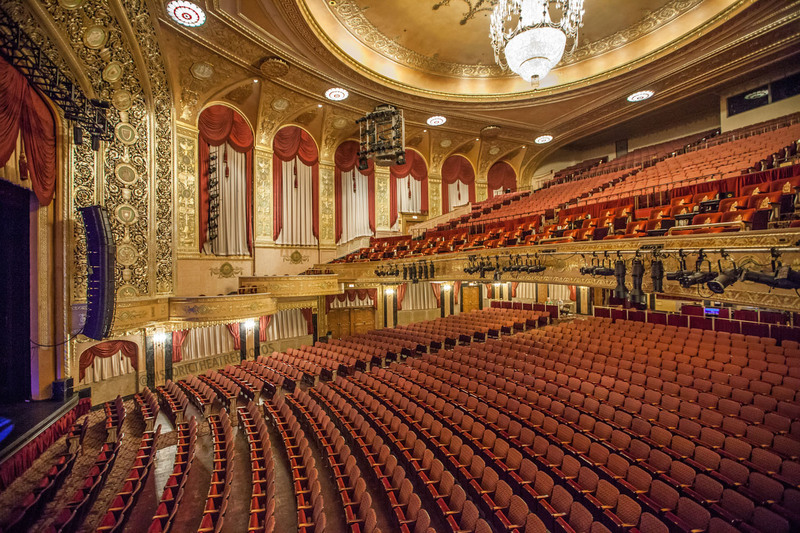 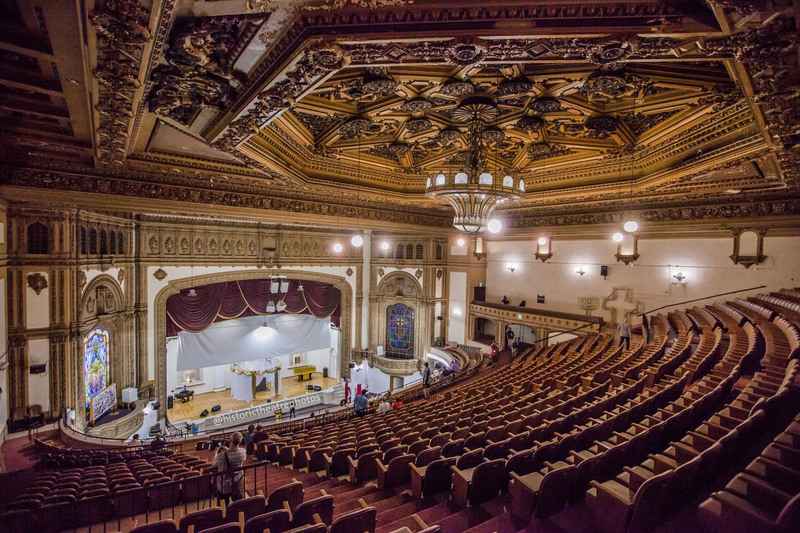 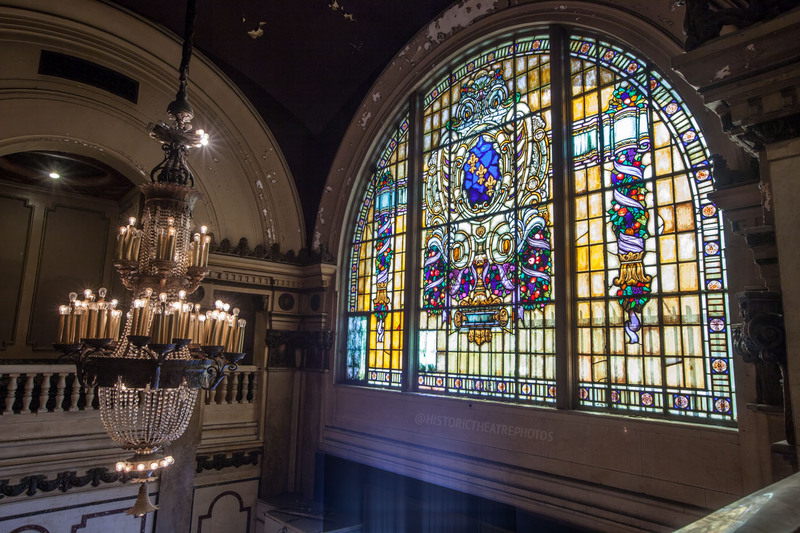 14th April 2019: Exciting information added to the Warner Grand in San Pedro, which looks to be in-line for a $4.5M renovation! 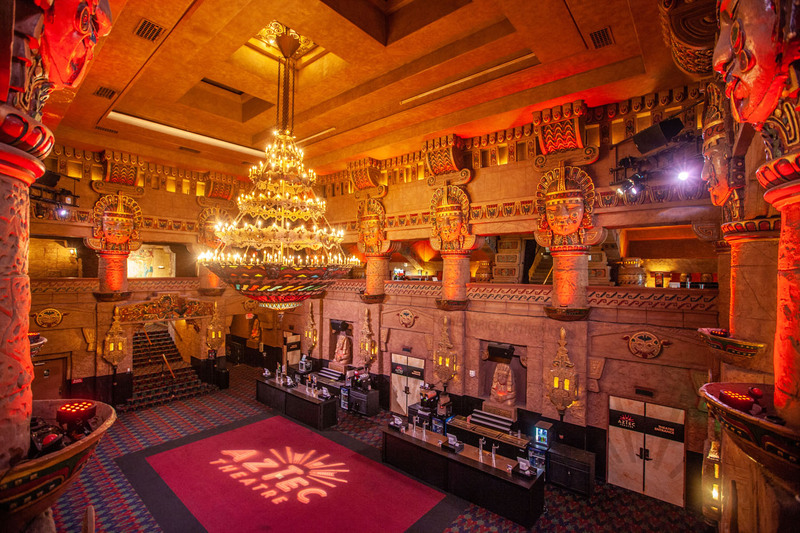 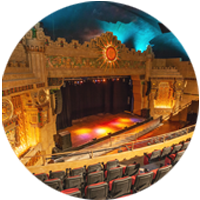 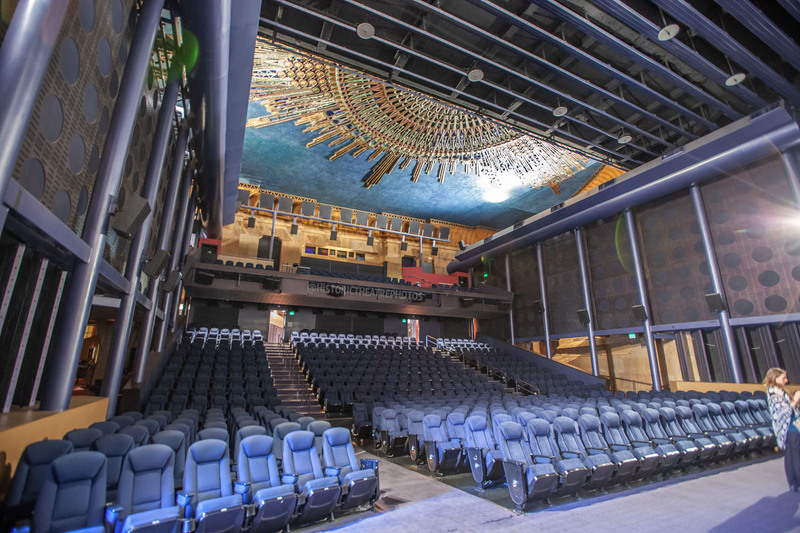 9th April 2019: We are delighted to welcome the Aztec Theatre in San Antonio to our website! 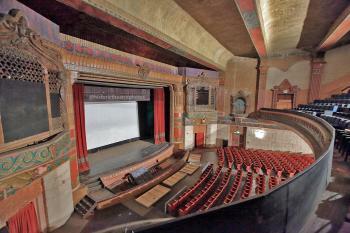 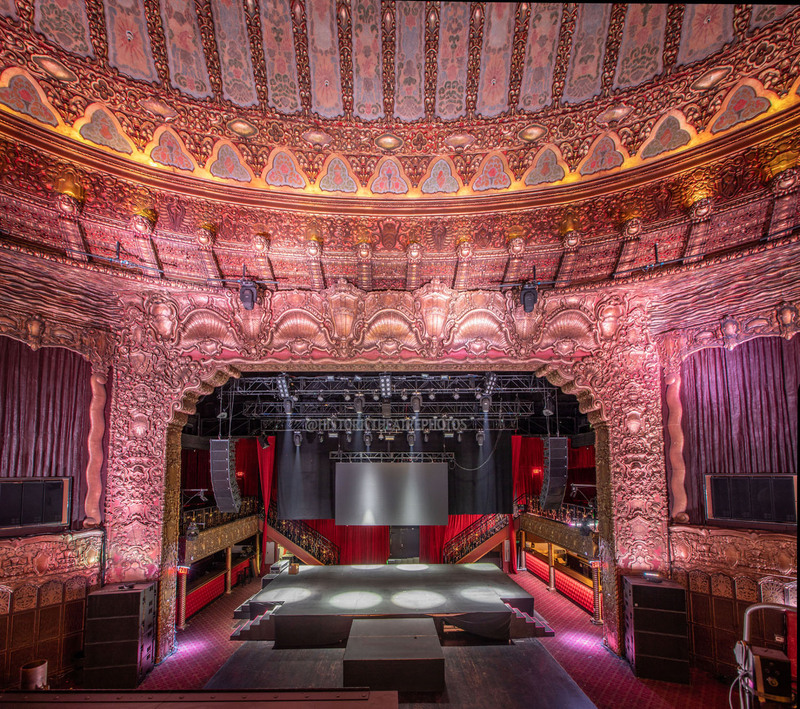 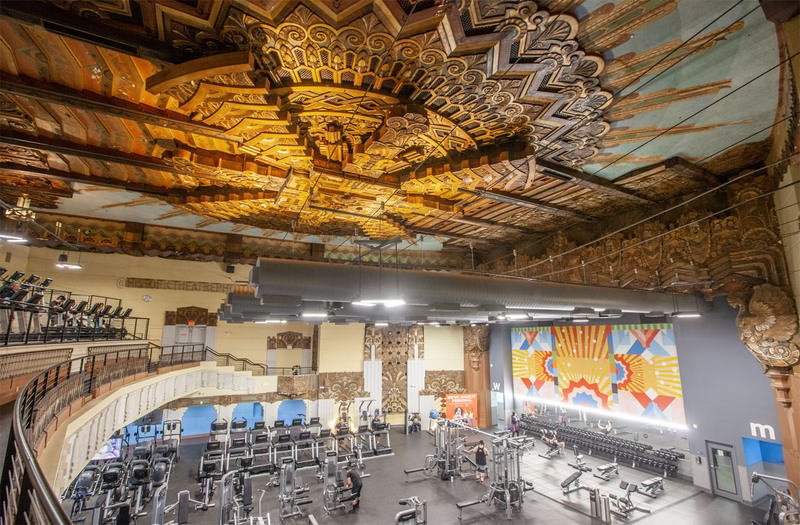 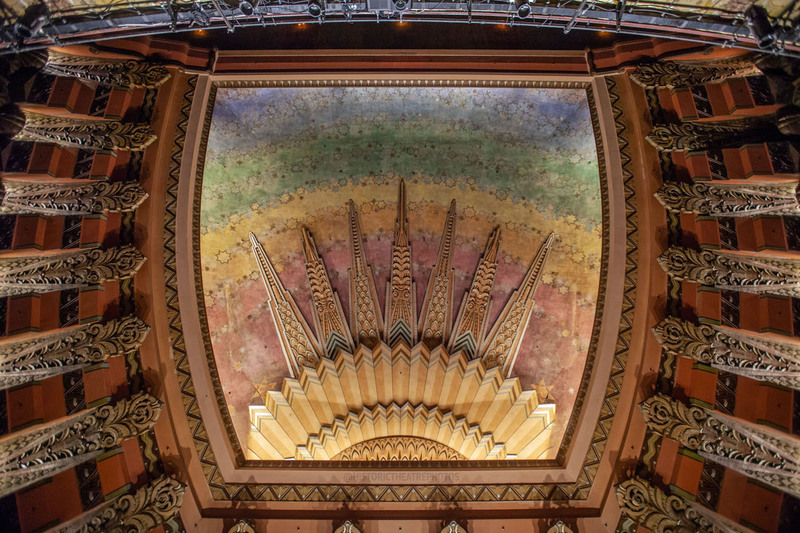 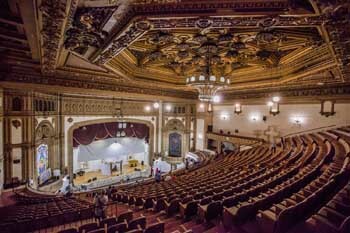 This historic 1926 theatre is one of the best remaining examples of Mayan Revival theatre architecture throughout the entire United States! 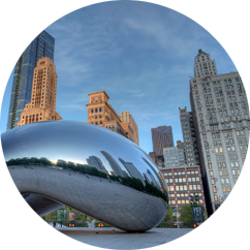 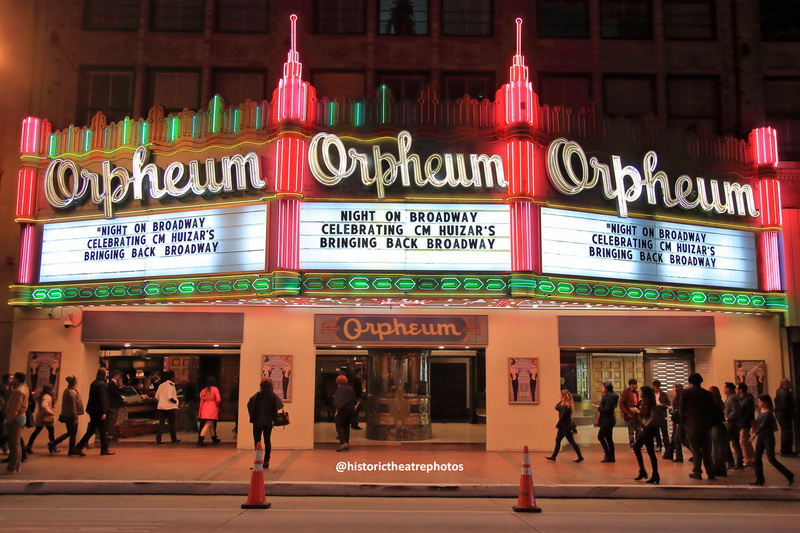 Chicago is home to many historic theatres and boasts a thriving “Broadway in Chicago” production company, formed by the Nederlander Organization in 2000, which programs touring Broadway productions. Chicago has been home to the only resident production of “Hamilton” in the US, outside of New York, since October 2016. 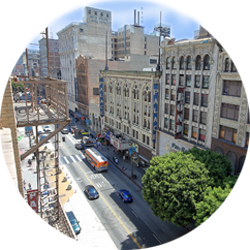 Downtown Los Angeles was the site of LA’s first two theatre districts, the first on Main St and the second on Broadway, which is said to pre-date New York’s Broadway theatre district. 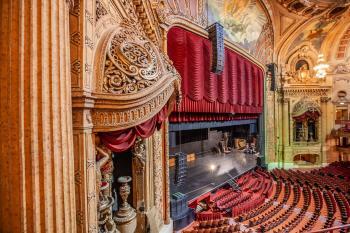 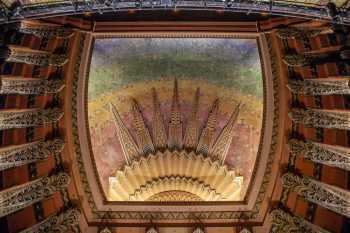 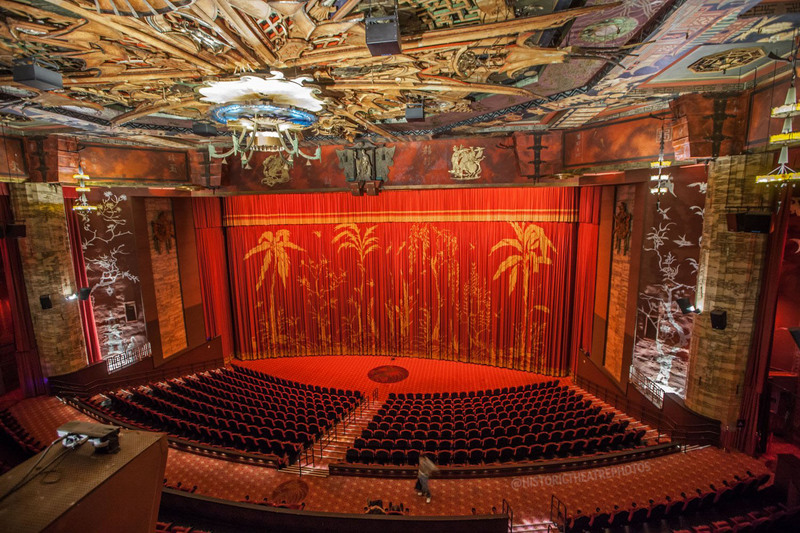 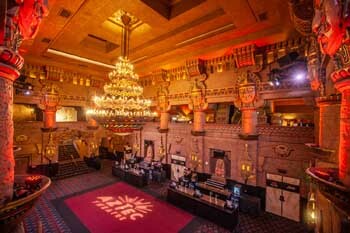 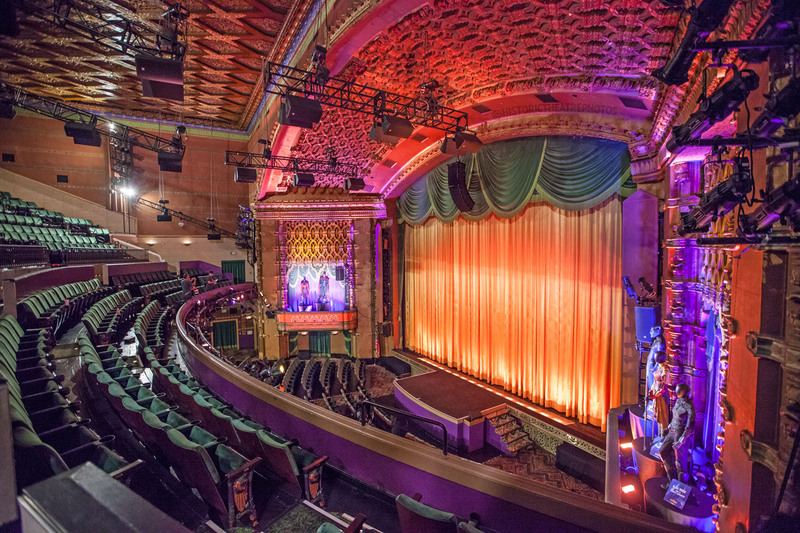 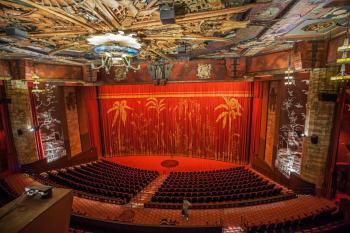 With 12 movie palaces along a six-block stretch, LA’s Broadway is the largest remaining concentration of theatres and movie palaces in the United States. 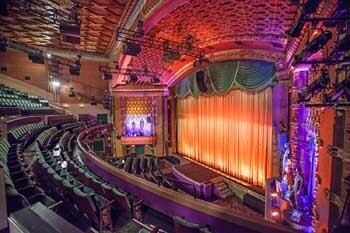 The Hollywood theatre district of Los Angeles came about as a result of booming development in the area during the 1910s and 1920s. 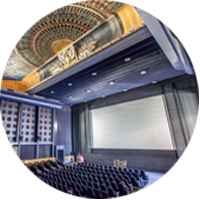 Grauman’s Egyptian Theatre was the site of the first Hollywood movie premiere and was soon followed by Grauman’s Chinese Theatre, currently home to the largest number of movie premieres in the world. 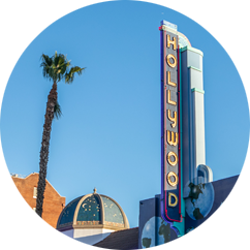 Outside of the historic Broadway and Hollywood theatre districts, the Los Angeles metropolitan area and adjoining counties have an abundance of theatres, and more than their fair share of neighborhood single-screen movie theatres. 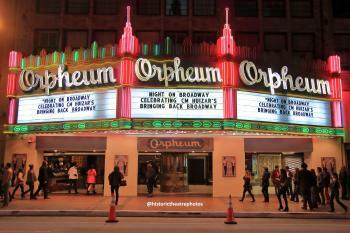 New York’s Broadway theatre district, nicknamed the “Great White Way”, has been entertaining audiences since the early 1900s. 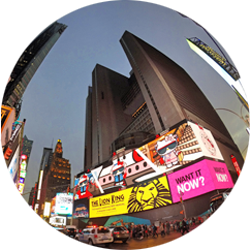 There are some 40 “official” Broadway theatres alongside countless others ranging from small off-Broadway houses, the Lincoln Center, and large even spaces such as Carnegie Hall and Radio City Music Hall. 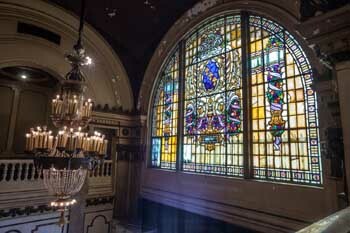 Texas is the second-largest US state by both area and population. 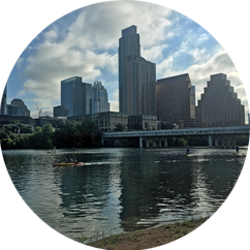 It boasts the fourth largest city in the US (Houston) and the second most populous state capital (Austin). 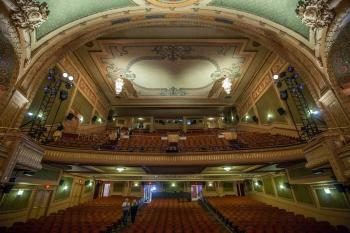 Accordingly, Texas has numerous theatres ranging from grand opera houses through mid-size theatres and small community playhouses. 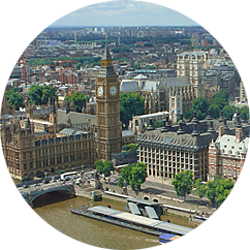 London is home to the famous West End theatre district, the largest concentration of theatres in the world, and is on a par with New York’s Broadway for its diverse range and high quality of productions. 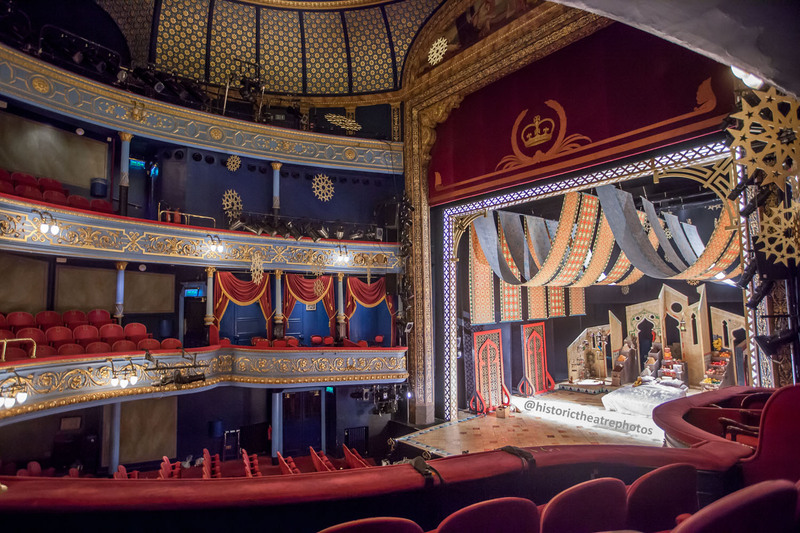 The UK is home to hundreds of historic theatres, including the oldest continually operating theatre in the English-speaking world. 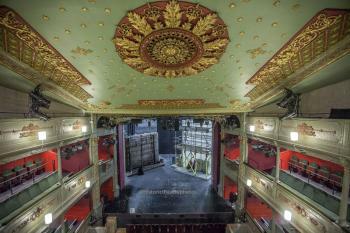 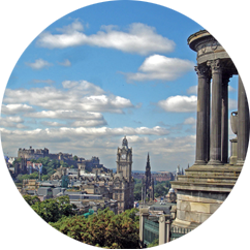 Here we concentrate on historic theatres in Bristol (England) and Edinburgh (Scotland). 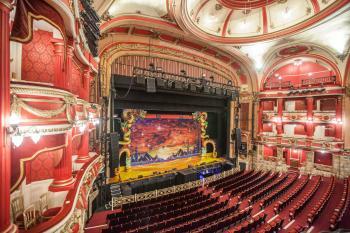 London theatres will be added soon. 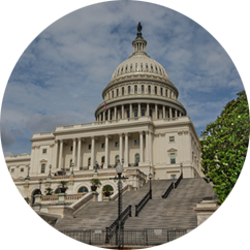 Washington DC, the political and administrative center of the United States, boasts multiple historic theatres, including the second oldest continually operating theatre in the country. In more contemporary terms, DC is home to the world-renowned Kennedy Center.